Interview about hacking workflows in construction with guest Damon Hernandez, Founder of AEC Hackathon and Product Manager at ... Maggiori informazioni Samsung. 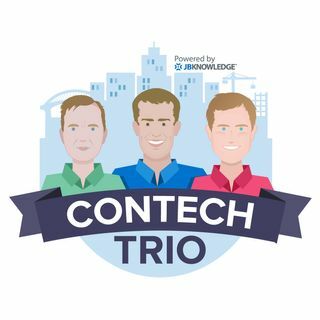 Follow @ConTechTrio on social media for more updates and to join the conversation! Powered by JBKnowledge. Learn more at http://jbknowledge.com or follow @JBKnowledge on Twitter. Thanks for reviewing our Revit Holoview software in your podcast! There were a couple of excellent points raised. The first related to positional accuracy, we realised that positional accuracy was going to be key to making this software useful. Essentially what we do to line this up correctly is 1) Wait until the spatial map has worked out the space, 2) Click on markers to align the model to the environment, 3) use the fine adjust to line up exactly 4) anchor in place (although this happens automatically). This seems to work well but in the case where you might get some drift (which might happen if you walk to the other side of the building) the fine adjustment can be used to ‘bump’ the model back into place. The second related to how we process large models to be handled by the Hololens. The Revit Holoview isn’t without limits but it can handle useful sized models (e.g. factories, retail complex etc.) Our approach when developing the Revit Holoview was to try and handle big and as complex models as possible rather than try and make them photorealistic. So we essentially we keep all of the geometry and objects from the Revit model but we keep the colors simple and we have no textures.